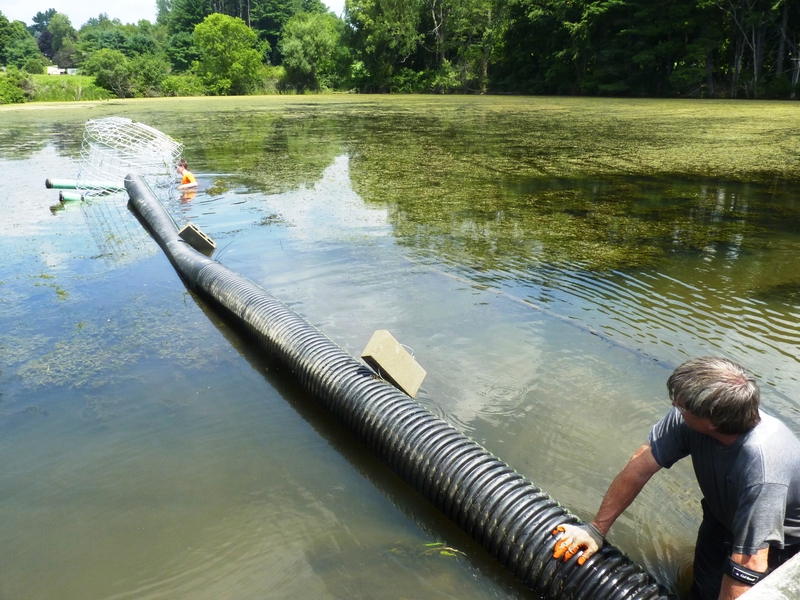 Flexible Pond Leveler being floated into place prior to submersion in pond. 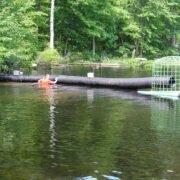 Beavers build dams from sticks, rocks and mud to create ponds for their own safety and convenience as they are well adapted to water. 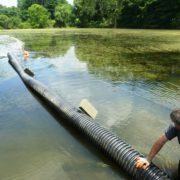 These dams have immense ecological benefits but they sometimes can cause serious flooding problems for people. 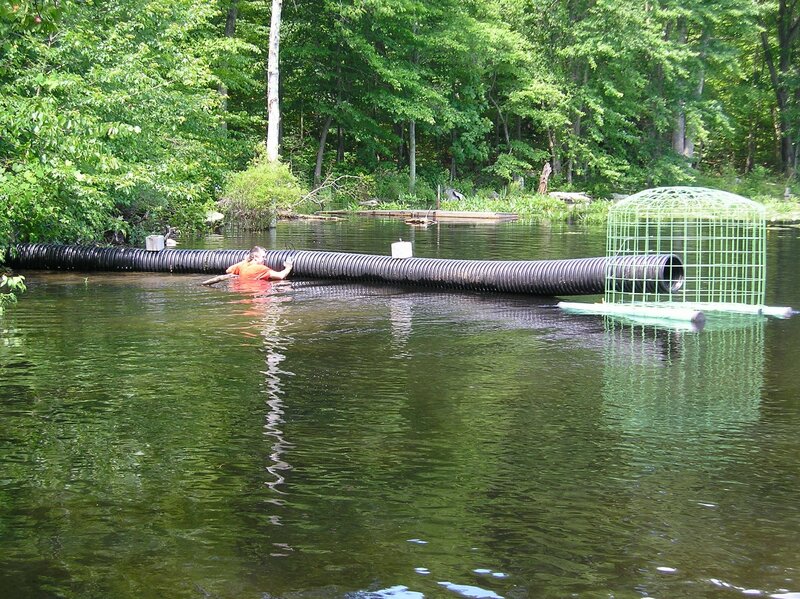 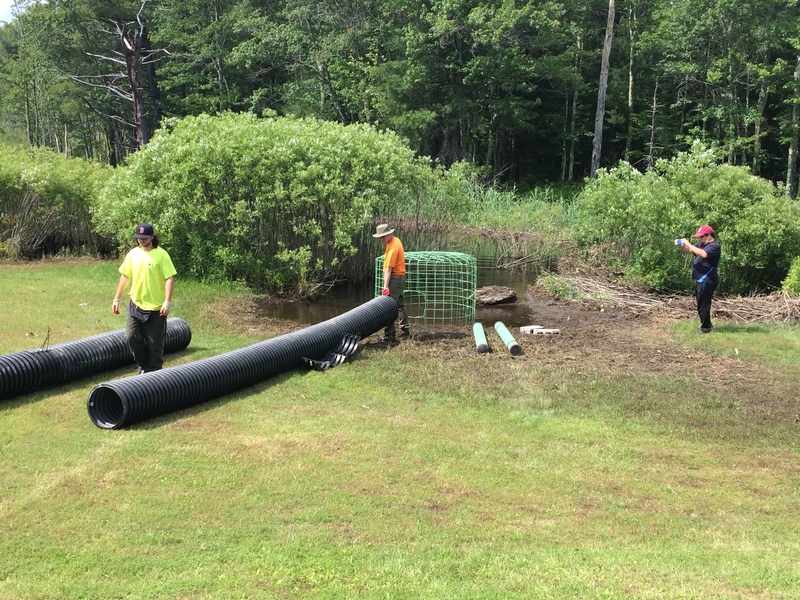 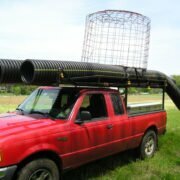 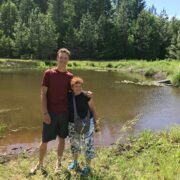 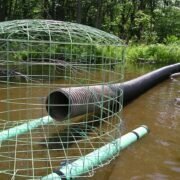 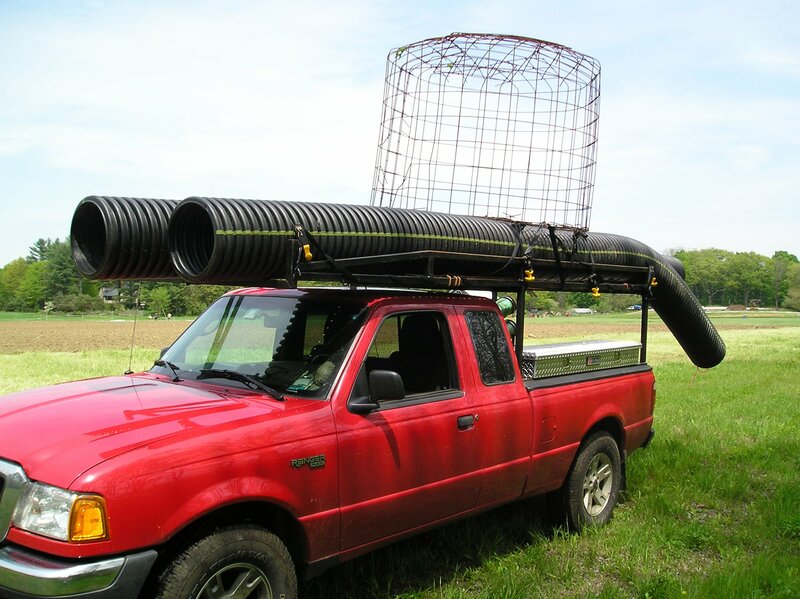 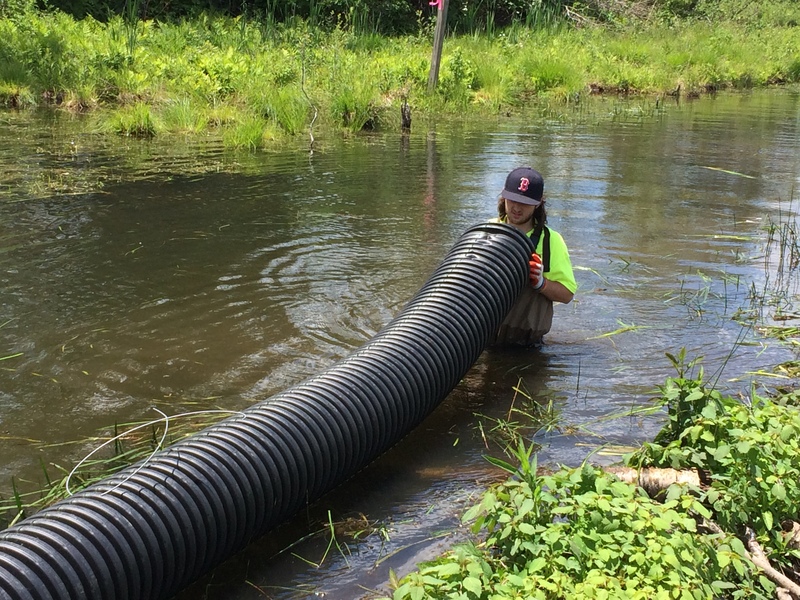 When this occurs a beaver pond can often be controlled at a safe level with a well-designed Pond Leveler pipe system. 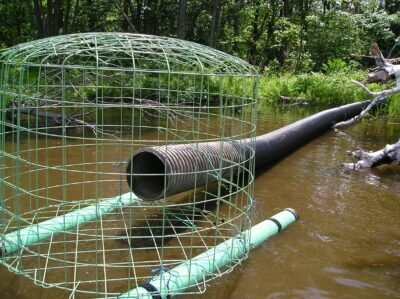 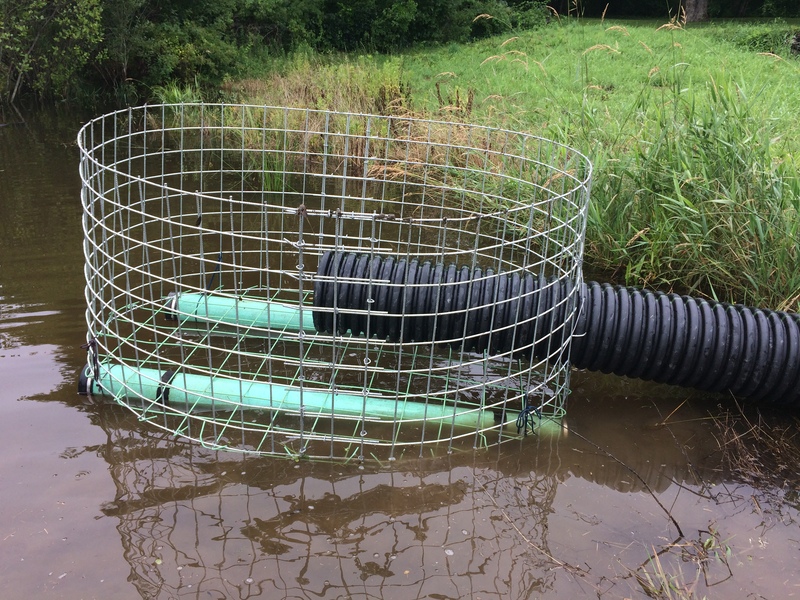 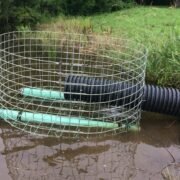 Once installed underwater, the exclusion fence on the pipe intake prevents beavers from detecting the flow of water into the pipe. 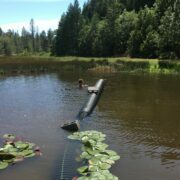 Unable to detect water flow beavers will not try to block the pipe inlet. 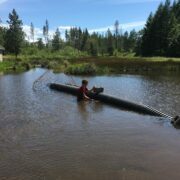 After sinking the intake fence in the pond the beaver dam a trench is dug by hand down to the desired water level and the pipe is buried in the dam at that height. 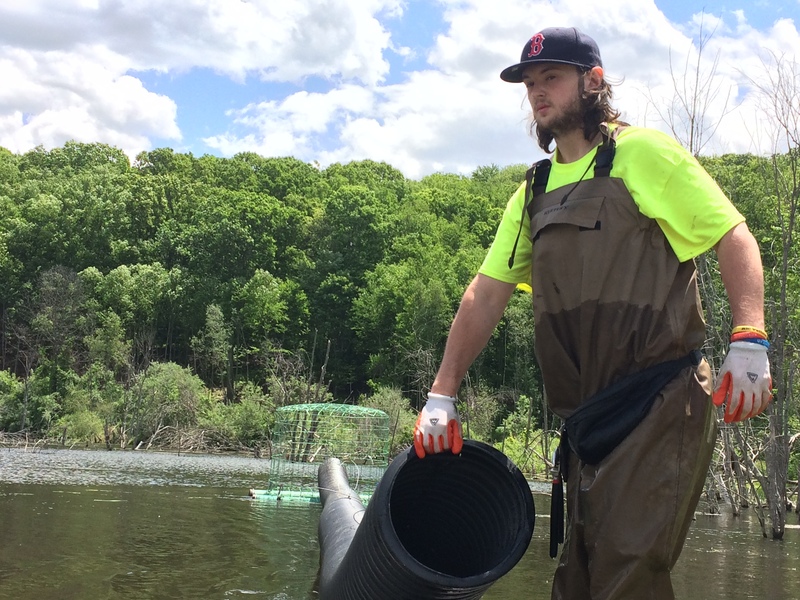 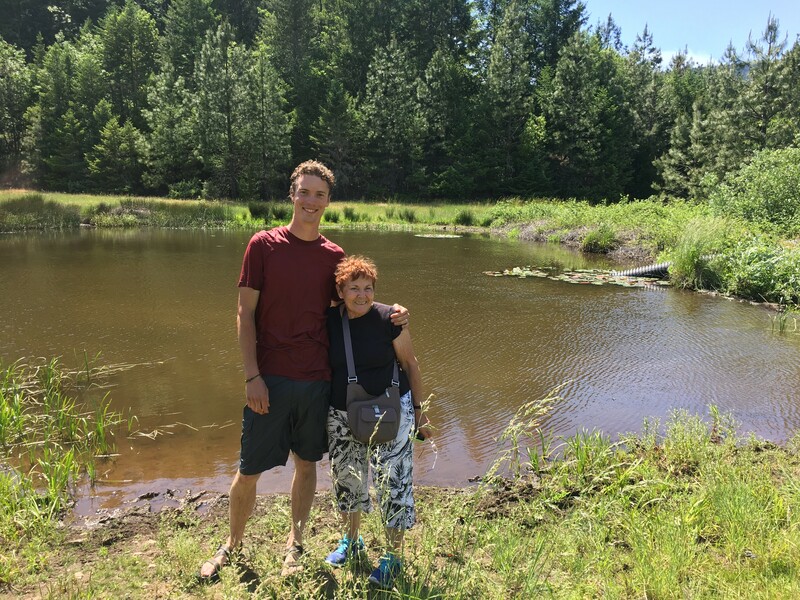 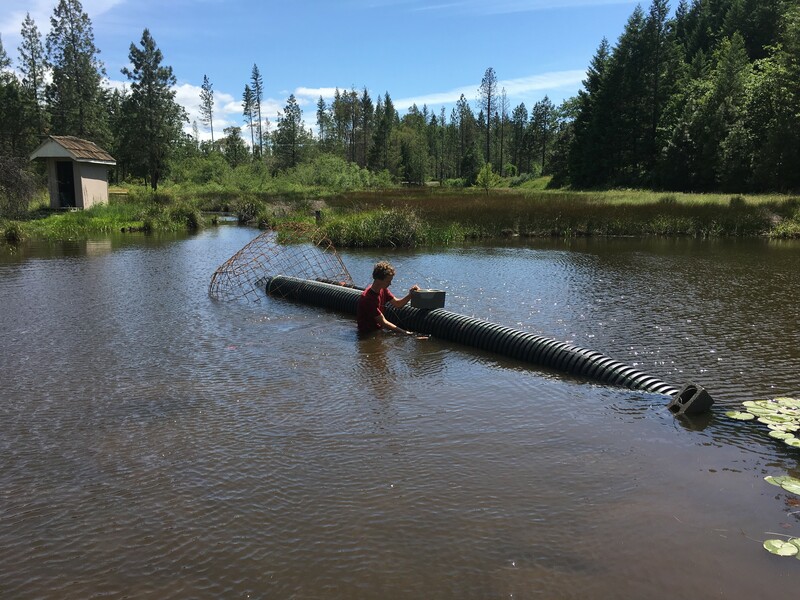 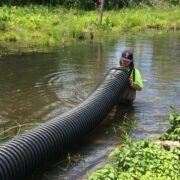 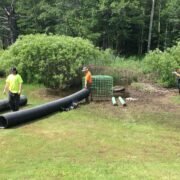 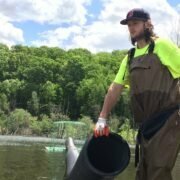 The Pond Leveler pipe then becomes a permanent leak in the dam so the beaver pond is controlled at a safe level despite the presence of beavers. 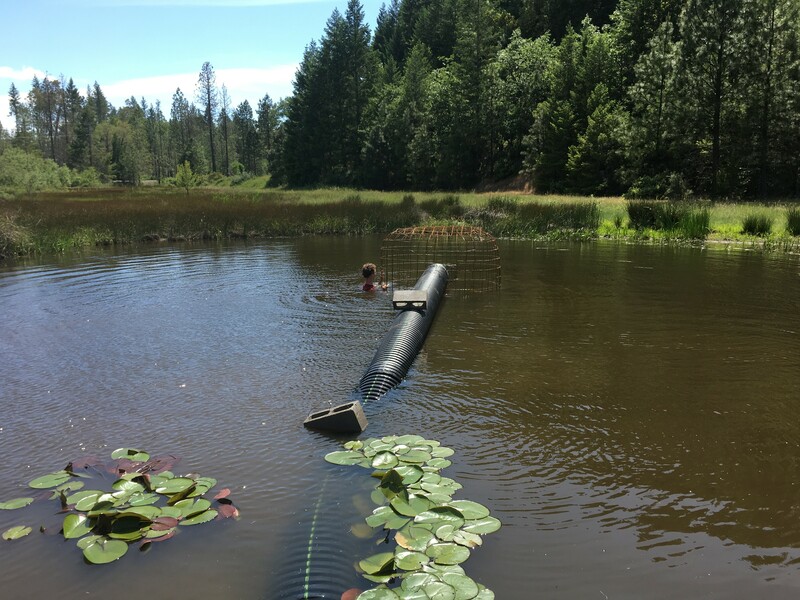 Learning to Install a Pond Leveler flow device.